HOUSTON, May 16, 2018 /PRNewswire/ -- ENGIE Resources announced today that the Onondaga-Cortland-Madison Board of Cooperative Educational Services (OCM BOCES), acting as administrative participant for the New York School and Municipality Energy Consortium (NYSMEC), awarded the company a three-year agreement to supply electricity to 170 school districts and municipalities throughout upstate New York. The news illustrates the company's broad background in retail electricity supply for the education sector. With the addition of OCM BOCES, ENGIE now serves more than 5,200 school sites in thirteen states including K-12, colleges, and universities. Jay Bell, Vice President of Sales for ENGIE Resources, said ENGIE takes great pride in working with schools. "Earning OCM BOCES's business demonstrates our commitment to this region and to an important customer base. It's more than just an energy contract," said Bell. "Many schools face rising community expectations and challenges, but are budget constrained at the same time. That makes them very astute at procurement and helps keep us focused on offering the best possible solution." OCM BOCES is committed to providing high-quality educational programs and services to its 23 component school districts and other services for municipalities including NYSMEC throughout Central New York. OCM BOCES employs more than 1,100 administrative, teaching, and non-instructional professionals who serve a K-12 student base of more than 60,000 students. For more information, visit www.ocmboces.org. ENGIE Resources & Think Energy® are part of ENGIE North America, which manages a range of energy businesses in the U.S. and Canada, including electricity generation and cogeneration, retail energy sales, and services to help customers run their facilities more efficiently and optimize their energy use and expense. 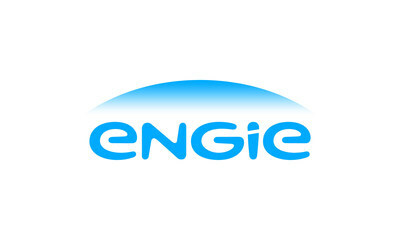 For more information on ENGIE North America, visit www.engie-na.com or Twitter.